62,6 x 34,2 cm - 24 7/8 x 13 3/8 in. 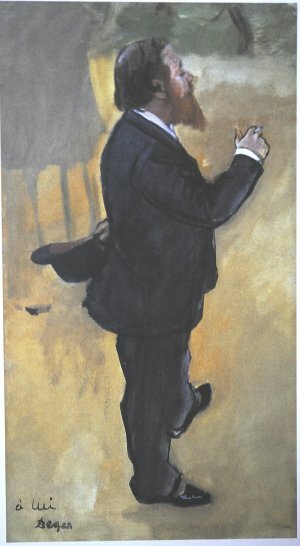 Carlo Pellegrini, Londres - Louis Fagan, Londres, circa 1889 - C. F. Fagan, Londres, 1903 - Vente Christie's, Londres, 27 mai 1907, n° 32 - National Gallery, Londres, 1916 (Don Joseph Duveen). Bristol, Museum and Art Gallery, 1932, n° 31 - Londres, Whitechapel Art Gallery, 1932, n° 122 - Sheffield, Graves Art Gallery, 1934, n° 167 - Edimbourg, Londres, 1952, n° 14 - Londres, Arts Council Gallery, 1965, n° 43 - Rome, Villa Medicis, 1984-1985, n° 81 (repr.) - Manchester, Cambridge, 1987, cat. 51, n° 25, repr. p. 28 - Londres, National Gallery, 1988-1989, n° 23 - Zurich, Tübingen, 1994-1995, n° 131, repr. p. 259 - Londres, National Gallery, 2004-2005, Art in the Making, fig. 129, repr. p. 121 - Londres, Washington, 2005-2006, n° 2, repr. p. 21 - Williamstown, Barcelone, 2010-2011, n° 63, repr. p. 59 - Londres, National Gallery, 2018-2019, (n.n. ), repr. p. 77. The Studio, 1928, vol. 95, p. 82 - Alley, Catalogue of the National Gallery 1959, n° 3157 – Lemoisne, 1946, II, n° 407, repr. p. 223 - Alley, The Tate Gallery Collection of Modern Art, 1981, n° 3157 (repr.) - Cooper, 1952, p. 17, pl. 16 - Alley, Burlington Magazine, vol. C, 1958, p. 171 (repr.) 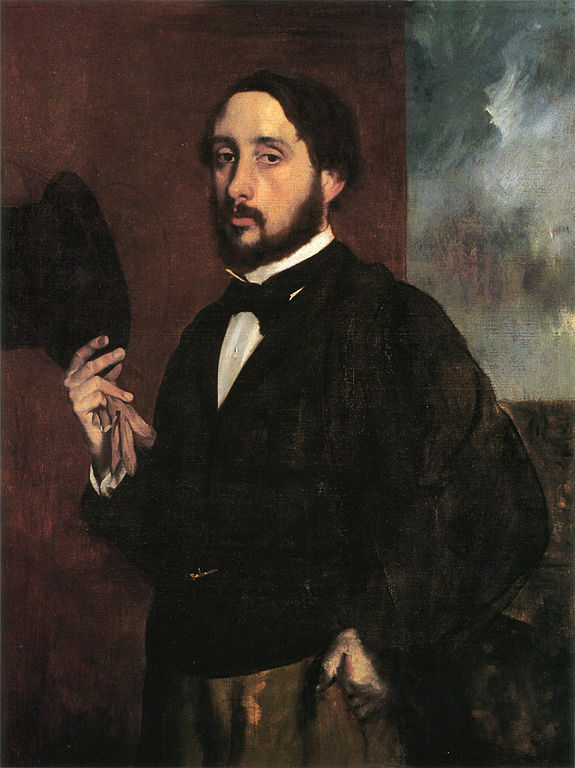 - Boggs, 1962, Portraits by Degas, p. 53, 127 (repr.) - Lassaigne, Minervino, 1974, n° 409, repr. p. 106 - Roberts, 1982, n° 24 (repr.) - Sutton, 1986, p. 91, repr. p. 113 - Loyrette, 1991, p. 415 - The National Gallery Complete Illustrated Catalogue: 1995-2000, Londres, 2001, p. 760 (repr.) - Bomford, cat. exp. National Gallery Londres, 2004-2005, n° 10, repr. p. 121.